No. 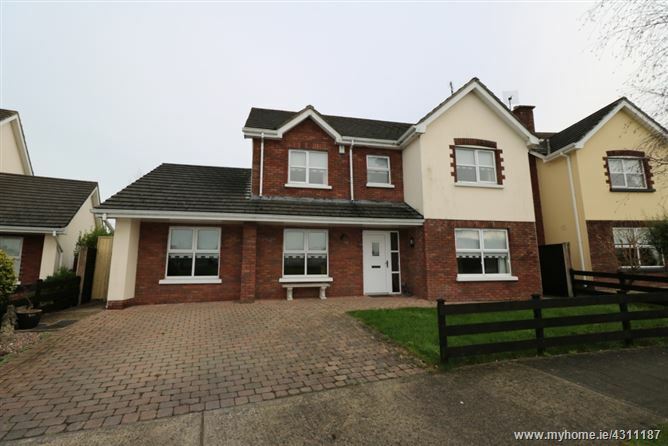 97 Gleann Alainn is a magnificent 4 bedroom detached family residence that extends to c. 152 sq.m. (1,636 sq.ft.). Upon arrival you will appreciate the wonderful atmosphere created by its present owners with the entire house tastefully decorated and meticulously maintained throughout. The accommodation consists of light filled rooms that are well-proportioned, and are complimented outside by the large gardens to the front & rear. Tullyallen Village is within a short stroll and access to Drogheda Town & the M1 motorway is within a few mins drive. To appreciate this truly magnificent family residence, viewing is essential. Rarely does an opportunity arise to purchase such an attractive family home finished to an immaculate standard throughout.